What happened to Robert Hilburn’s rock’n’roll heroes? I have a soft spot in my heart for Los Angeles Times emeritus pop critic Robert Hilburn. 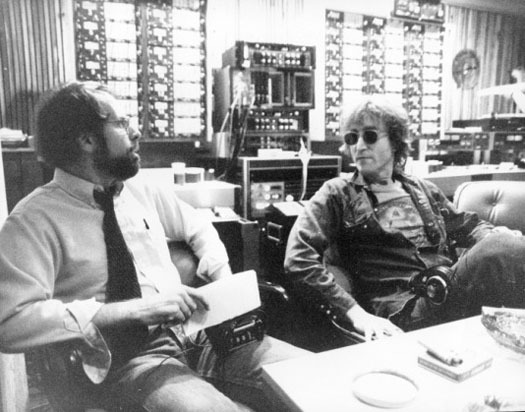 Back when I spent more time writing about music than enabling its makers to make a career at it, Bob was kind enough to invite me to the newspaper’s dining hall for a pep talk. He eventually commissioned me to write a handful of articles for the paper and provided some general life encouragement, but I was less thankful for his professional assistance than for his being. His sunny, angst-free demeanor and real enthusiasm for the soundtrack of his life was clear and real. He provided a ray of light at the end of the long tunnel that is freelancer life. If you took away as few as four dozen artists from that endless row of dominoes, rock would have collapsed as an art form. Imagine your record collection without Bob Dylan, the Beatles or U2. Because of that, he felt one of the main challenges of a critic was to focus on those musicians who contributed to expanding that art form. This approach has its problems, however, which this summary also articulates. In search of those artists, [Hilburn] says he frequently ended up writing about false promises; artists who ran out of ideas, self-destructed or compromised their music in hopes of wider sales. But he was also fortunate enough to connect with the most important artists of the rock era. Basically there was something about Bob’s warm, humanistic approach to music appreciation that caused him to vacillate between getting hoodwinked by hype and falling in love with his subjects. Well, Bob — having accepted a buyout from the LA Times in 2005 — has spent the last few years writing a book, the just published Corn Flakes with John Lennon: And Other Tales from a Rock ‘n’ Roll Life, and that’s led to some deeper analysis of how useful his critical approach is circa 2009.